The legal cannabusiness offers exciting possibilities for workers during times of extreme divisiveness. Regardless of whether you are an entry level applicant with no previous experience working with cannabis, or a legendary black market grow master, the industry has jobs to suit nearly every individual. How to apply for marijuana jobs in the new era of pot can be a daunting endeavor – not to worry, the last few years have displayed encouraging trends in cannabis employment throughout its diverse sectors. Going about searching for your ideal cannabis career, there are a few important criteria to consider when asking how to apply for marijuana jobs. In addition to the job you want to do, consider what skills you already possess that could potentially lend themselves to a fruitful career with cannabis. Furthermore, it is incredibly important to ensure that cannabis is both medically and/or recreationally legal in your state and municipality. As such, the rules for applying to medical cannabis jobs will likely involve further procedures, such as obtaining a medical cannabis card of your own. Do I have to be College Educated? Careers in the marijuana industry offer the best jobs for stoners with college degrees, as well as those who did not attend or finish at universities. Largely, degree requirements depend on the position itself – whether it is an entry level, management or advanced position in the industry. Furthermore, some cannabis jobs require employees to have skills in hard sciences, which are predominantly learned in traditionally academic settings. With that said, the history of this industry has valued hard work and passion over advanced education and the same will continue to be true, at least in some pockets of the industry. Namely with jobs in budtending, dispensary reception and trimming, college credentials are rarely required. If we were to give a breakdown of how to apply for marijuana jobs in every area of the industry, this article would fill at least a small novella. However, there are certain jobs that have stood out in states with legal cannabis, that are providing excellent opportunities for workers at different points in their career. If we are going to start anywhere, we might as well start from the top. Professional cannabis cultivators are industry experts who represent some of the most experienced individuals throughout the cannabusiness. Master growers cut their teeth leading successful grow operations that award them a lofty title and a potentially impressive paycheck. Under legal operations, cultivators must be knowledgeable and reliable. Unlike black market cultivation, there are many regulatory standards grow leaders must consider before and during the actual cultivation of the crop. Under new laws, cannabis samples are tested for chemicals and cannabinoid levels and all data must be recorded and organized by the grow operation staff. Master growers are usually assisted by a team who help them to devise and maintain protocol for soil or hydroponic grows. When it comes to how to apply for marijuana jobs as a cultivator, employers are looking for educated, experienced applicants for master grower jobs, but are more lenient when it comes to assistant growers. For this reason, candidates interested in pursuing professional cannabis cultivation jobs in the future should consider pursuing a degree in horticulture, to help establish knowledge and base credibility. Budtending is one of the more straightforward marijuana jobs to apply for, since it maintains many of the same qualities as other entry level customer service positions. Like many other industries, the cannabusiness is all about who you know and subsequently, who they know. Reliability and punctuality are hard to come by in the service industry as it experiences disproportionately higher employee turnover than other industries. This is why some dispensary hiring managers choose to hire individuals whose character has been pre-assured. Especially when compared to other customer service jobs, budtending is really an exciting opportunity for service workers and pot lovers. This job pays standard wages, however there are many other perks to working as a budtending. In addition to being initiated into a community of cannabis advocates, budtender jobs often involve getting discounted products. If you live in a bustling metropolis in a legal cannabis state, you’re already on the right path to securing those kush budtender jobs. West coast cities like Portland, Oregon and Seattle, Washington are brimming with legal pots and thusly, budtenders. Search any run of the mill job site like Indeed.com and you will eventually stumble across an array of job postings looking for the ideal budtender. Although this position is still considered entry level, it is one of the most competitive jobs in the entire business. Dispensaries receive hundreds – thousands of applications for jobs, making it fairly difficult to get an interview on the first application you send out. Surely if you possess legal cannabis industry experience, your application will sit toward the top of the pile; however, for most applicants, legalization is still new enough that they haven’t had time to obtain significant work experience in the legal business. 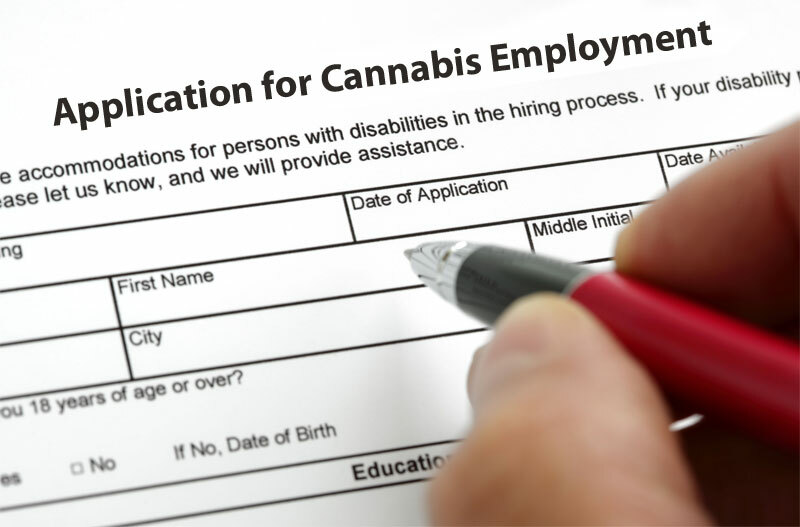 Regardless, most dispensaries follow a traditional application experience, applying via paper application or resume to be turned in online or in person. Almost all budtenders are interviewed and receive some sort of background check. Aside from previous cannabusiness experience, the other credential dispensary employers most look for in candidates are strong communication skills. Budtending is a customer service position first and foremost, making it extremely important that employees work well in direct service settings and can think on their feet. While cannabis flowers are still the predominant method for ingesting psychoactive pot, the rise in demand for cannabis concentrates and edibles is nothing short of staggering. In some cities across the U.S., there simply weren’t enough products to go around, causing lapses in diverse product availability. Concentrates result from extraction beneficial cannabinoids and terpenes from plant matter using industrial solvents. this allows for the essential compounds to be preserved, while separating away any harmful or unnecessary matter. The result? A substance that ranges in color from amber-gold to black and sustains highly potent effects. Concentrates are ideal for both medical and recreational consumers. For the former, the high concentration of THC and CBD allows for more long lasting and effectual medical results. Similarly, recreational users enjoy the intense potency, terpene-enhanced taste and novelty of this predominantly pure product. When researching how to apply for marijuana jobs in concentrate creation, know that it is one of the more advanced positions on the job market. Cannabinoids are extracted by technicians who are experienced chemists that work comfortably in laboratory leadership positions. Like cultivators, extraction technicians must be regimented in order to maintain perfect legal compliance. Since this position involves a high level of responsibility, interested candidates should make sure their resume and professional presence is optimized to be taken seriously for this important job. Despite new technologies making it easier than ever to trim cannabis, human marijuana trimming jobs offer a sort of consistency and style that machines can’t compete with. Historically, outdoor guerilla grows involved cultivating cannabis throughout the spring and summer months into the fall when it could be harvested. Once this is completed, it’s time for the trimmers to step in – sooner rather than later. Most grow operations engage in what is known as “wet” trimming, where cannabis is manicured just after it is separated from the rest of the plant. Trimmers don disposable gloves and wield sharp shears in order to trim buds to the achieve optimal cannabinoid concentration and perfect aesthetic. Trimming maintains special importance since it determines the overall effect of the strain. Cannabinoids and terpenes are secreted by trichomes, which are essentially glands that produce resin. While there is often a decent dusting of resin on the small sugar leaves surrounding flowers, these leaves contain vastly lower concentrations and should be removed. While sugar leaves are not ideal to smoke or vaporize, they do well being turned into cannabutter, which can then be infused into edibles. Involving how to apply for marijuana jobs in trimming, the best thing to do is make yourself available. Even in the legal market, most trimming still occurs in California and Oregon, although there are cannabis processing centers dispersed throughout the country. The best trimmers establish professional relationships with grow ops and prove themselves as efficient yet detailed workers. Often times, trimmers are compensated according to weight, so the quicker and more precisely they work, the higher their tax bracket climbs. While cannabis concentrates can be smoked directly or used in vapes, they are also the basis for creating cannabis edibles. Bakers and chefs take their professional kitchen experience to bat, creating breathtakingly tasty consumables that will both satisfy your cravings for calories and cannabis. While many of us would likely enjoy cooking with pot for a living, cannabis edibles bakers are qualified cooks who really know their way around marijuana. These individuals are able to mediate the discrepancies between taste and THC concentration by using their refined palate, estimation and mathematical skills. When approached with the question of how to apply for marijuana jobs, Vocativ.com stated how inexperienced candidates need not pursue these positions. While there may be openings as a prep cook or assistant, edibles chefs and lead bakers must have confidence managing a kitchen and following all the safety guidelines associated with food preparation and cannabis compliance. One arena experiencing growth thanks to cannabis is online marijuana jobs. More and more jobs in web development, design and copywriting are cropping up alongside major advances in technology and social media. The internet has significantly elevated the potential of the cannabis industry. Whether in the form of mobile applications that make finding recreational weed a snap or high quality online marijuana mags that help you figure out what strain suits your personality, the internet is a hotbed for the fashionable cannabis consumer. Considering that most online jobs don’t contain hard and fast rules requiring applicants to have college degrees, the web offer a lot of opportunity for cannabis entrepreneurs. The wages associated with jobs of this sort appear at various ends of a spectrum. WHile high ranking web developers and designers can reach six figure salaries, most online content writers will rarely make more than twenty dollars per hour. With the American government constantly in flux, the future of the cannabusiness flutters at the whim of corporate and political institutions. In some ways, the marijuana business is a microcosm of the greater American job market in that is spans entry level jobs through ownership positions. Now, when your friends ask you how to apply for marijuana jobs in the legal industry, you can educate them on the extensive range of positions the industry has to offer.